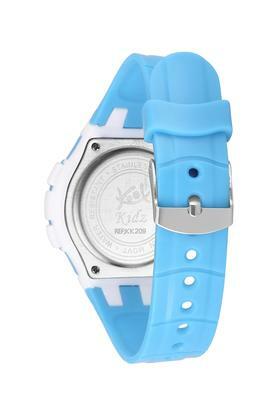 Classy and chic, this stylish digital watch by Kool Kidz will be an ideal pick for your kids this season. It features a round dial and plastic strap which creates an attractive look for your kid. 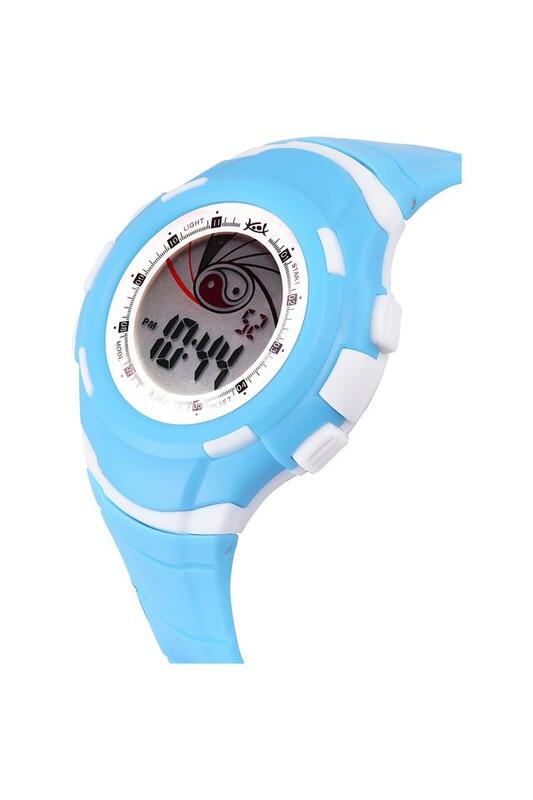 It comes with a warranty of one year and water resistant capacity up to 3 ATM which make it more durable. 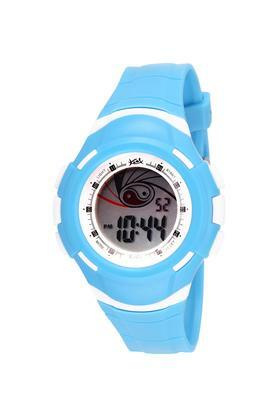 This adorable digital watch is sure to pep up your kid's look. There is a unique appeal to the whole look and feel of this distinctive piece of art that's bound to set your heart aflutter.